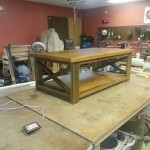 Over the course of the last week or so I built my own coffee table. A picture of the final result is below. I spent about $80 on it. Which is built better and cheaper than the press board trash furniture that you will find in a box. In total it took about a day to complete. It wasn’t too hard of a build, probably a 4 on a difficulty scale. 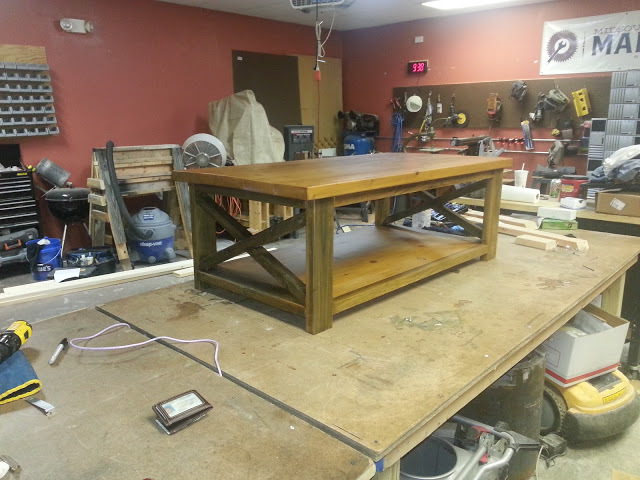 The plans I used for the DIY Rustic X Coffee table can be found here. The rough dimensions are 52″x27.5″. I finished it off with vinegar and steel wool to stain it and several coats of polyurethane. Next is to build end tables with outlets and usb chargers.